In News You Already Knew: Brick and mortar shops with a robust online presence are more likely to have higher sales and a stronger brand image. With online sales projected to grow nearly 12% in 2017, and the overall retail industry growing at 4%, small businesses can secure a competitive advantage by adding one key tool to their online arsenal: responsive, versatile small business customer service. You know how your customers like to shop, but do you know how they like to connect with you? 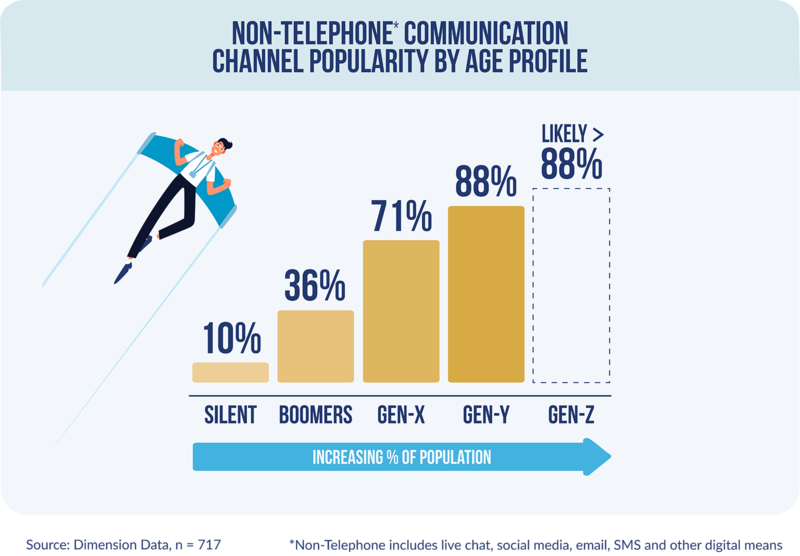 The vast majority of Consumers prefer other forms of communications besides voice or email for general support — live chat being the #1 choice. Businesses that offer a broad range of online communication choices will resolve inquiries more effectively and convert more browsers to purchasers. Luckily, there are ways to meet customer demand, provide excellent service, and not go broke.